Two days before Kennett High School’s Track & Field team’s biggest match of the season, one of their standout athletes, John Paul Dean, was in A.I. DuPont Hospital for Children, being treated for Stage 4 Hodgkin’s Lymphoma. Dean, 18, a Kennett senior, had just undergone grueling chemotherapy treatments that caused him to lose all of his hair. He was weak and fatigued. The cancer had found its way into his body. According to the National Cancer Institute, the 5-year survival rate for Stage 4 patients is 65 percent. But Dean knew that his team needed him, because if they defeated Unionville and Oxford, they would win their first ChesMont League American Division championship in 25 years. Even his doctors at A.I. DuPont urged him to get rest and not put a strain on his body. But Dean showed up for the Monday, April 18 practice, and did not look well at all, said John Ramagano, Kennett High Track & Field head coach. Kennett needed an incredible performance from Dean, because Chris Castaneda pulled a hamstring just 10 meters from the finish line in the 100-meter relay, giving the advantage to Unionville. Dean then goes to the long jump and jumps 21 feet, 2 inches, just one-tenth of an inch off his all-time best. Then at the triple jump, he jumps 40 feet and wins it big. Because of Dean’s performance, Kennett won the championship. “I’m not sure we would have won the championship if not for John Paul,” Ramagano said. Earlier this year, Dean developed a nagging cough. In January, Ramagano said he “shut him down” after Dean struggled in practice. He was always a top performer, having run for Kennett Middle School for two years, and is in his fourth year at Kennett High. “At the time, I thought it was fatigue, because there were flu-like symptoms going around then,” Ramagano said. During the first week of March, the start of the PIAA outdoor track season, Dean struggled out of the gate. The cough persisted. “I told him something isn’t right with him, and he should get some things looked at,” Ramagano said. On March 10, Dean relented and went to his doctor. He was later admitted to A.I. DuPont Hospital. After a battery of tests and scans, doctors determined Dean was suffering from advanced cancer. After his first chemotherapy treatment, doctors said he was in too poor of a condition to compete in anything, let alone the first meet of the season. Ramagano said when the team — all 135 members of Kennett High Track & Field — learned of it, some cried on the bus. But the season had to continue, and the team wanted to salute John Paul Dean in a special way. Thanks to a local vendor, the Kennett Team took a page from the U.S. Olympic “Dream Team” basketball team, and got shirts with the words “The Dean Team” on the front, and a slogan on the back stating that losing isn’t an option. The Kennett team used body markers to draw purple ribbons on their arms, because PIAA rules prohibit the wearing of ribbons. At the second meet, the boys rallied behind him and defeated Great Valley. They carried that momentum over to later defeat Sun Valley and Octorara. At the West Chester Rustin meet, emotions ran high when the Rustin team put together a huge poster board with the words “We are all behind you, John Paul.” It was signed by every member of the West Chester Rustin track and field team. At that meet, Dean competed against the advice of his doctors, and took first place in the long jump, and Kennett defeated Rustin, 77-73. Jumpers who helped secure the victory also included Xavier Feliciano, Ryan Eberle, Ryan Boyle, and Stanton Jones. Throwers included Al Sheehan, Eberle, Neil Erickson, Charlie Stinson, Tyler LaCasta and Zach Crowl. Runners, in addition to Castaneda inlcuded Jasper Seay, Nick Brison, James Tulley, Josh Ramagano and Austin Maxwell. At the final meet, Ramagano said the team wasn’t expecting Dean to compete. Dean said it’s not his nature to quit. He said he will beat the cancer. He is going ahead with his graduation at Kennett in a few weeks, then he will attend college at a school in Florida, where he plans to be a commercial airline pilot. He said he plans to run track all four years in college. His mother, Sharon, said her son is a competitor and will win the battle. Originally written by Fran Maye, the Kennett Paper. Reposted with permission. Through unwavering dedication to others, school counselor Mrs. Jan Turner has helped build a strong support system for students and staff at Bancroft Elementary School. The pride and love Mrs. Turner has for her students is evident as soon as she enters a room. As a school counselor, Mrs. Turner supports students, teachers, administrators, support staff, nurses, and parents alike. Each day, her role presents her with new challenges and triumphs, but during her 19 years working in Kennett Consolidated School District, Mrs. Turner’s passion for educational support has never faltered. 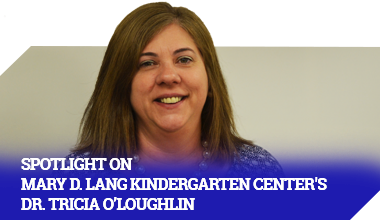 Mrs. Turner started on her path to becoming a school counselor by attending Millersville University, where she earned her Bachelor of Science degree in elementary/special education. 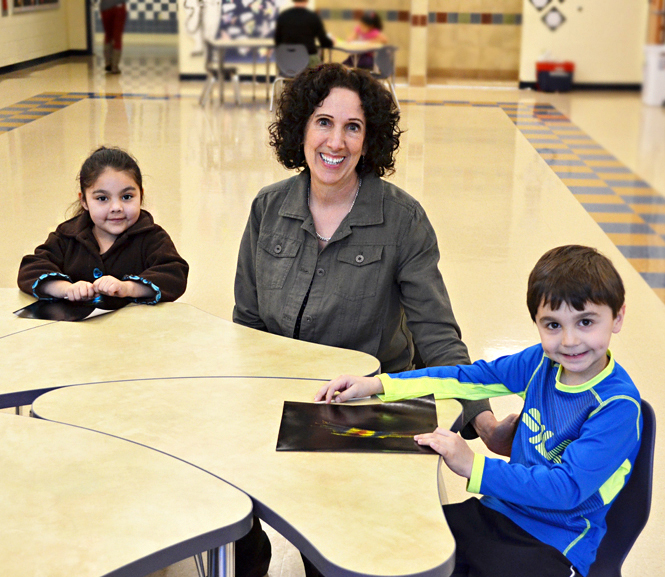 After graduation, Mrs. Turner pursued a professional certificate in secondary Spanish from Villanova University and earned her master’s degree in elementary counseling at West Chester University. Before joining Kennett Consolidated School District, Mrs. Turner’s career as an educator led her on a journey around the world teaching special education and English as a second language. From travels within the United States, as well as to Puerto Rico and Mexico, Mrs. Turner has gained invaluable language skills and cultural understanding. A love of other cultures and travel is a theme that runs strongly through Mrs. Turner’s family life, too. Her husband, Mr. Russell Turner, and her three sons, Alex, Brad, and Eric, all have the hearts of explorers. Russell is an environmental engineer, and he volunteers with Engineers Without Borders, managing projects in Peru and El Salvador. Her eldest son, Alex, is a chemical engineer, and her son Brad works in economics and finance and has traveled to almost 30 countries. Mrs. Turner’s youngest son, Eric, visited Japan as an exchange student before moving there after college to pursue a career as a computer engineer in Tokyo. In her free time, Mrs. Turner enjoys hiking, photography, and spending time with friends and extended family. Kennett Consolidated School District is proud to continue to spotlight our dedicated staff members.